Join us at the Pacific Bonsai Museum for WORLD TAICHI DAY on Saturday, April 27 from 10am – 12pm! 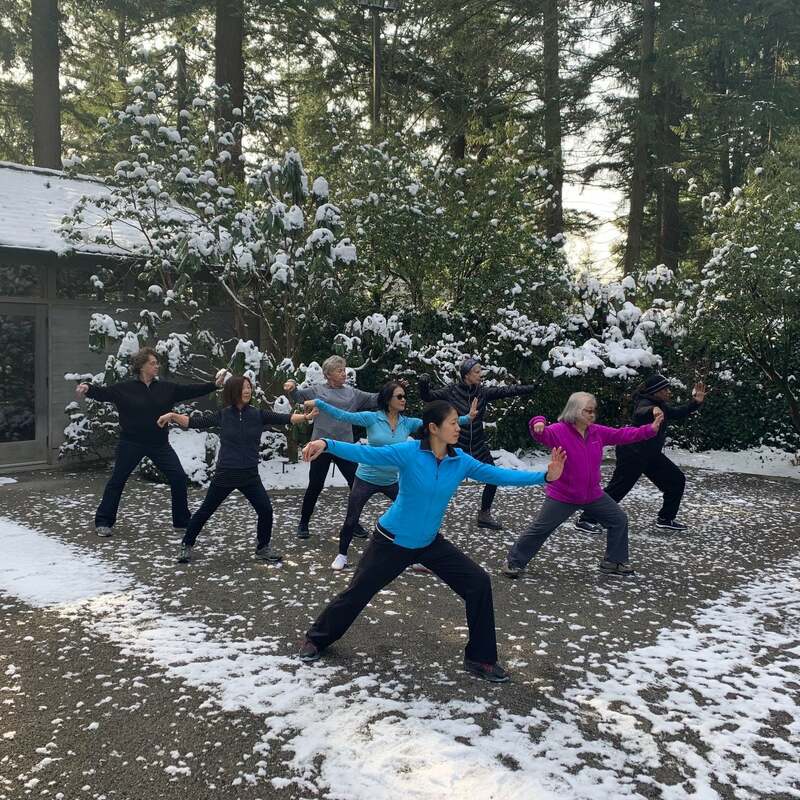 The local taichi group from the Federal Way Community Center will be doing a short series of easy qigong movements as well as a few popular taichi forms. You will leave feeling both energized and relaxed. Please wear loose, comfortable clothing and be prepared to participate! This event is open and free to the public and great if you’re curious about this ancient Chinese martial art. Taichi is an ancient Chinese martial art that exercises the mind and body through slow movements. Practicing taichi regularly can improve balance and coordination, increase energy and stamina, reduce stress, and calm the mind. Qigong (pronounced “chee-gong”) is an “energy exercise” that connects the mind and body to promote healing. Learn to use your breath in a simple practice to help circulate your body’s energy and connect with others.